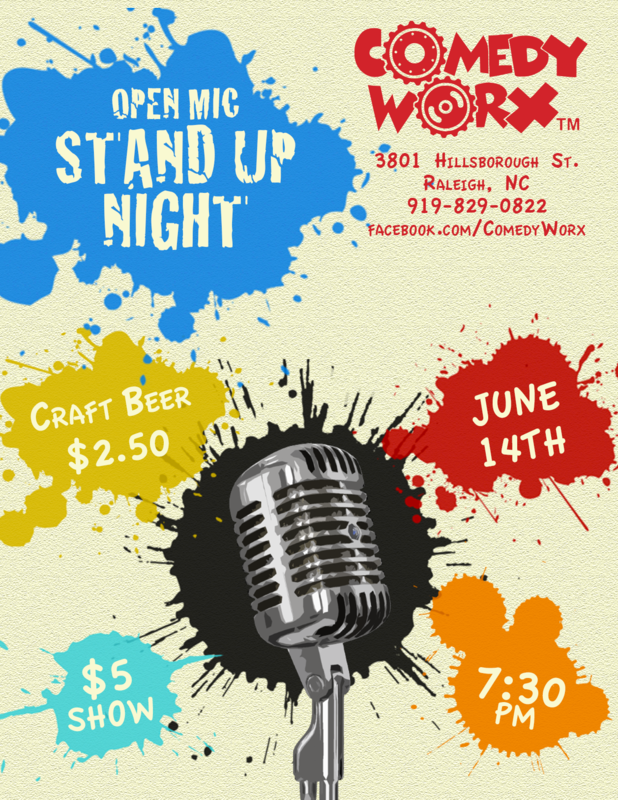 Come out to ComedyWorx for our very first Open Mic Stand Up Comedy Show! The show will be on Thursday, June 14th at 7:30pm! Are you a local comic? If you’re interested in performing, please arrive at the club at 7pm and add your name to the signup list. We will also have a $2.50 drink special for our craft beers! *Parental Advisory: The Open Mic Stand Up show is rated “M” for Mature so make sure the kids are safe at home prior to seeing the show.